Healthy eating doesn’t have to be complicated, nor does it have to take a lot of time. It may be as simple as chopping a few veggies, opening & rinsing a can of beans, and layering them on a tortilla shell. Easy, peasy 5 minutes to a delicious and satisfying lunch or dinner. Wash and prep tomato, cilantro, and lettuce. Warm up the tortilla shell, if desired. 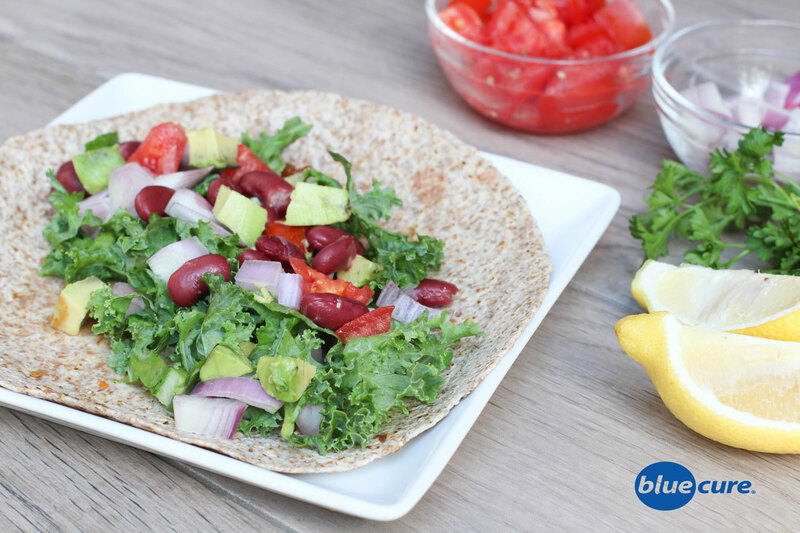 Combine the ingredients and serve on a whole grain tortilla or corn tortillas.